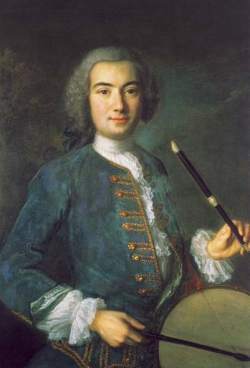 18th Century French painter Claude Arnulphy managed to capture, among other portraits, the nobility of musicians known as flute drummers, who led processions in and around Provence’s lower Rhone area, with his work, “Portrait de Jeune Tambourinaire” (pictured right). The painting captures not only a player but a musical form that dates back to the 13th Century. Folk music of a one man band- the galoubet (three-holed flute) noted with the left hand while the right smacks the tambourin (drum) in any number of patterns, from polka to grooves harder to pigeonhole- these sounds became associated with Provence and nearly died out altogether, until sometime in the 19th Century, when Provencal culture got a boost thanks to a movement started by one Frédéric Mistral known as Félibrige (a term that has taken on nasty nationalist connotations in recent times). 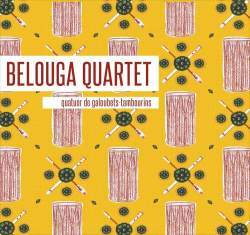 Whatever the case, conscious cultural conservation is one way to keep history alive, and it’s this type of focus and insistence on the importance of the musical past that has brought us the Belouga Quartet. The quartet, representative of a new generation, has for this record, enlisted 4 composers who had a set of constraints to work with in order to pay homage to the tradition, while at the same time, expanded what these musicians could do by acknowledging a percussive debt, however small, to Africa and its diaspora. On one level, this stuff sounds as one would expect of European-derived fife and drum marching band music. But a close dig reveals some odd tunes. The first track, one of the 4 parts of “Belouga 46” (composed by Jean-Michel Bossini), has the flutes nearly hocketed as the drums seem to echo their sentiments. Geographically, it’s a tough track to place for anyone who’s never heard galoubets-tambourins. The 2nd part of this tune has low, percussive flute blasts followed by drones, themselves cut short by minimal drum patterns. The early part of this disc, for the uninitiated, defies time and place, and suggests the free-jazz avant-garde, private press new age minimalism, tribal music from Papua New Guinea, and more.